No More Snoring Thanks To This Pillow! A pillow that stops you (or the one sleeping next to you!) from snoring is what many people might have been waiting for. The Snore Activated Nudging Pillow tracks the vibrations of the snoring sounds and then adapts the pillow’s depth. This stimulates the snoring person to take a different position of the head or body, which should stop the snoring. You can adjust the pillow for “light” or “heavy” snoring. 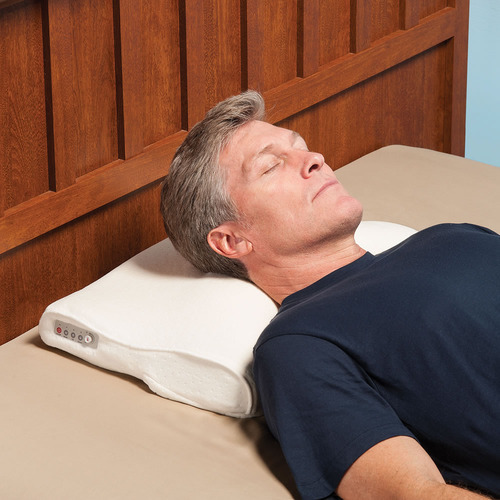 For more information, or to purchase The Snore Activated Nudging Pillow, click here.